Yes, it’s that time of the year again. Kicking off with the Paris Auto Show, the US rounds made their start today with the opening of the LA Auto Show. Although the general public is not admitted until Friday, November 19, press members – including yours truly – are admitted for a couple of days to check out all the wares from various manufacturers. We welcome back the return of the hatch from Honda. Although the hybrid powertain is not as exciting as that found in the original CRX, this little number definitely looks like something we’d like to check out in person. The Mugen edition here definitely adds a racy flair to the CRZ, but that rear spoiler really has to go. Why a front wheel drive vehicle needs all that excess weight and downforce at the rear is beyond us. I guess it shouldn’t surprise us that even a “traditional” manufacturer of sportscars (which are also thirsty for petrol) would jump on the bandwagon. The Cayenne Hybrid is already in the offering and they’ve been heavily marketing the innovation through a television commercial featuring the GT3 RS Hybrid as seen below. We don’t know how effective the hybrid system may be, but it’s an absolutely gorgeous piece of machinery. As an homage to Porsche’s 60 year history, the Stuttgart make is releasing a brand new Speedster. Quite sleek. Quite fast. Quite limited. And… quite expensive. Finally, as if the GT2 needed any more power, refinement (or a higher price tag), the new GT2 RS is here. With rear wheel drive goodness and an even lighter chassis to match, this car is quite the handful. As a matter of fact, we can’t imagine the average Joe being able to drive this car very fast without killing himself in the process. The Subaru Impreza WRX STi – even though I personally own a Mitsubishi Lancer Evolution – has always been a car to be reckoned with. Great power output, good looks and a reasonable price tag have all been the keys to the STi’s popularity. Although the hatchback version of the newest STi has had its fans, it has had an equal share of detractors. 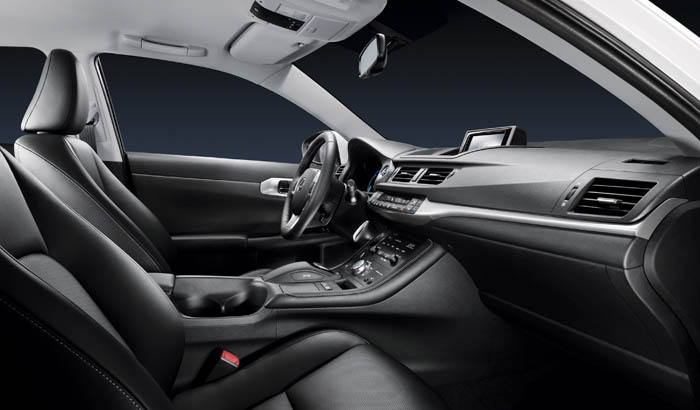 Well, Subaru is going to satisfy both parties, as they introduce a 4-door sedan edition. But don’t fret if you had your eyes on the hatch version – Subaru will continue to produce the STi in hatch form. Subaru also pulled out all the stops in introducing the new Impreza Concept. At first glance, it looks quite a bit like a natural evolution of the existing Subaru Legacy, although those horizontal slats on either side of the front bumper remind me of the front end of the current Honda Civic. Take a look and you decide. No, your eyes aren’t playing tricks on you. That really is a convertible version of the Nissan Murano. 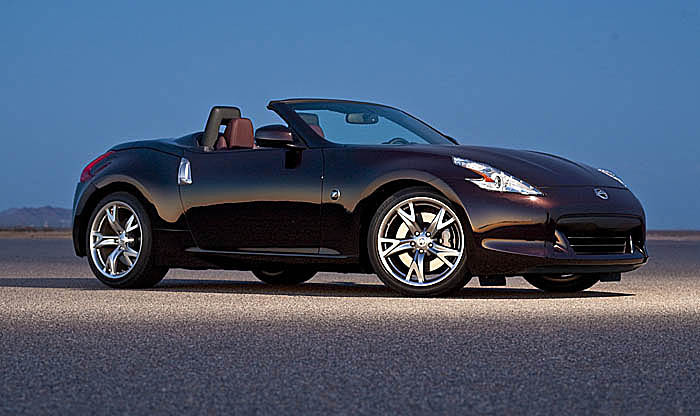 Now, we’re not quite sure from whom this car is intended, as we’ve never heard of anyone actively advocating the creation of a convertible SUV but I’m sure Nissan did their homework before launching this vehicle. We’ll get our hands on one soon and let you know if it’s worth your consideration. The other shiny object inside the Nissan booth is the Ellure Hybrid concept. I don’t know about you, but the exterior is absolutely gorgeous. I hope they will retain most of the design cues if this car hits production. 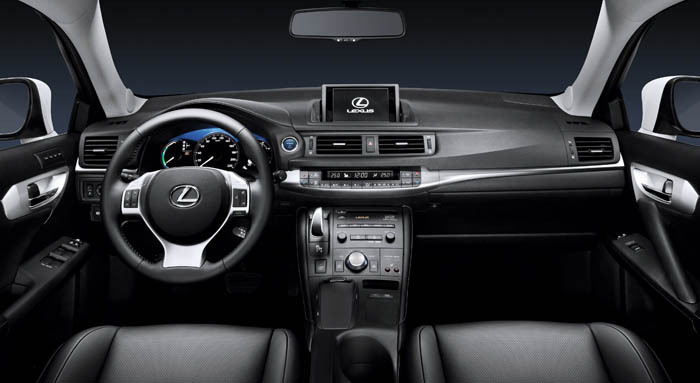 The interior is certainly very high tech looking as well. We don’t yet have the proposed technical and performance details but will let you know as soon as we know. Alright, gang. Day 2 awaits us tomorrow. Will have another editorial up by weekend’s time with even more photos and discoveries at the LA Convention Center! To be frank, I would buy a Lexus / Totoya regardless of recent noise about throttle / brake cables. Perhaps it’s even more timely that Lexus launch a new vehicle to offset some of the media hype. 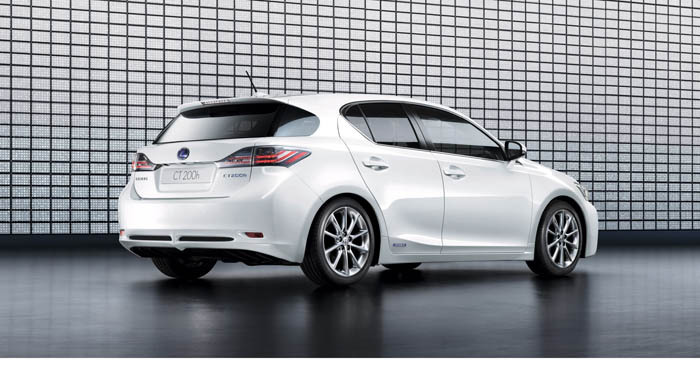 The Lexus IS series is an attractive one, a true competitor to the Audi A4 and BMW 3-series line ups. 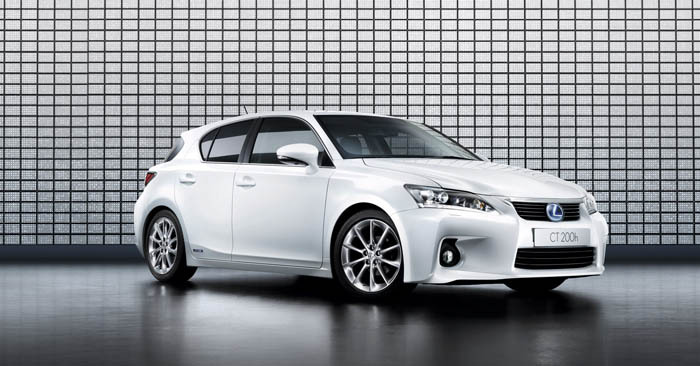 To further raise the bar, Lexus announced the introduction of the IS 350C F-Sport Special Edition. What is F-Sport? It’s an in-house performance-oriented aftermarket brand creating a distinct identity for those models that go a step beyond showroom stock – think “LF-A,” “IS-F” and so forth. 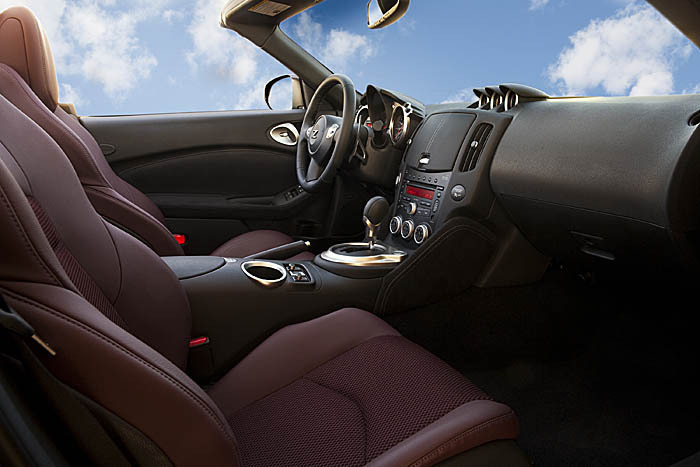 With an MSRP of $57,500, the 350C F-Sport certainly isn’t your entry level convertible. So what do you get for the extra cash outlay? With only 100 units available across the US, this is a small production run that will most likely sell out very quickly. 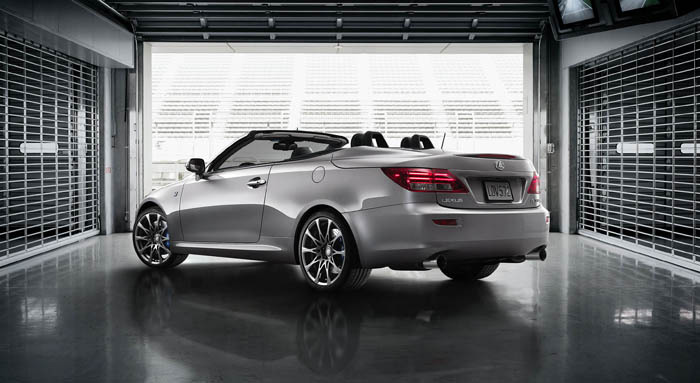 So if you want a piece of this factory tuned convertible, head out to your local Lexus dealer for more information. The Nissan R35 GT-R, one of our all time favorite performance platforms, is an awesome package right out of the box. But as any die-hard gearhead can attest, there’s never enough power to go around. 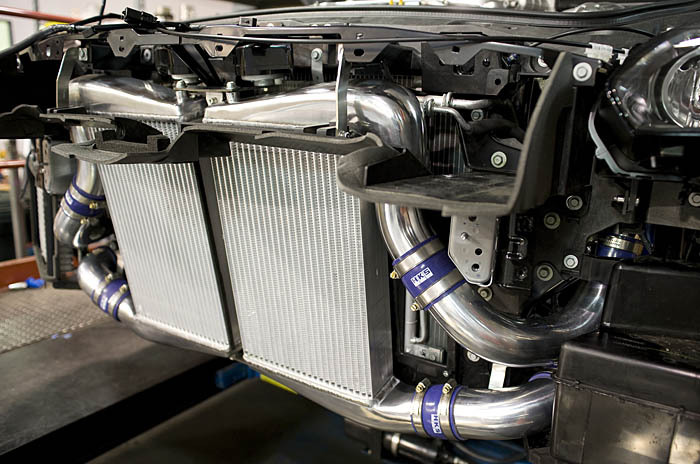 In that spirit, HKS USA recently introduced a new front mount intercooler system for the Japanese supercar. 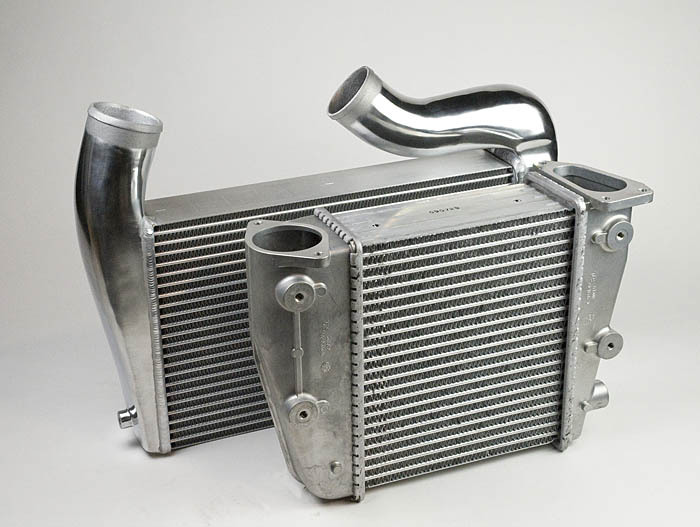 Featuring two lightweight, large capacity intercooler cores, polished aluminum piping and a size-matched carbon fiber air duct, this setup will improve overall intercooler air volume capacity and cooling efficiency. In addition, the design of the core has been revamped, leading to minimum pressure loss under high boost levels – who doesn’t want high boost levels?! – and should reduce weight. Suggest retail price is $4,795.00 and is available through Authorized HKS USA Dealers. 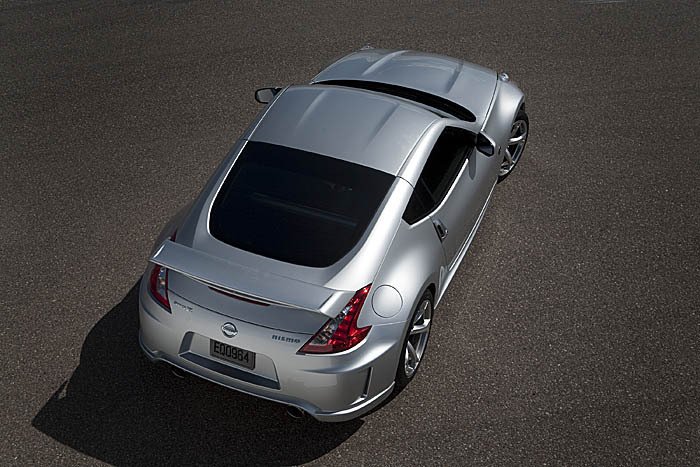 And also make sure to check out other GT-R performance parts from HKS and other topline manufacturers.